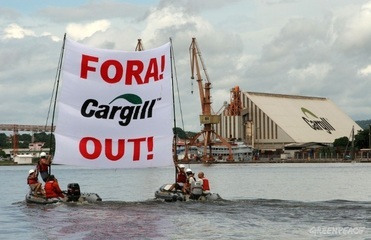 Cargill's port ilegally operated until its closure in 2007, as the result of the peasants' and indigenous communties' fight for the forest preservation. Still after Cargill communicated its Environmental Impact Assessment, the port reopened in 2012. Over the last few years Brazil has become the world second largest soy exporter, after the U.S.A. “In the 2014-2015 harvest it produced 95 million tons, 60.7 million of which were exported”. At the same time it ranks as the fifth highest CO2 emitter, resulting from deforestation and fires set in order to obtain land for cultivation. 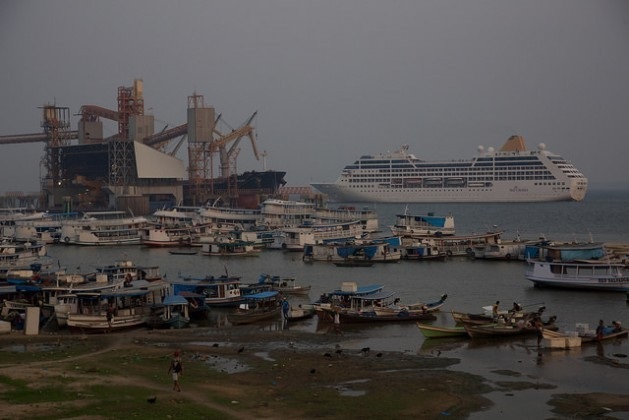 In Santarem, a city of 180,000 inhabitants in the State of Para, at the confluence of the Amazon and the Tapajos River, the American multinational Cargill has built a port for the collection and transport of soy, a product previously not grown in the area. 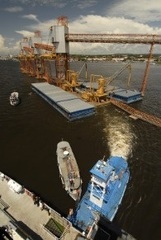 The port was built without the Environmental Impact Statement required by the Federal government. Peasants and indigenous communities oppose the port because it led to the development of soy monoculture and they fear deforestation and forced displacement. 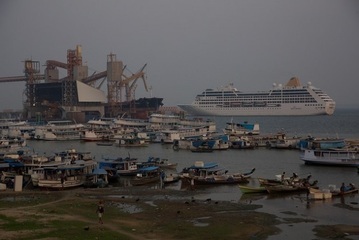 In March 2007, the Brazilian Environmental Agency shuts down the port. The local communities, together with foreign supporting organizations kept mobilizing asking for the permanent closure of the port. Indeed, the State Secretary of Science and Technology imposed a temporary closure. The conditions for the reopening were for Gargill to submit and obtain the approval of an Environmental Impact Study of its port. The prosecutor in Santarem, Felipe Friz Braga, who raised the case, explains the reason for the suspension of activities imposed on the company: 'There is a frenetic increase in deforestation. Forests destroyed, communities expelled from their territories, both the results of pressure and violence perpetrated by economic concerns that have arrived in the region. All this because of the productive potential of the territory, which allows for intensive production of soybean'. In 2010, Cargill communicates its port’s Environmental Impact Assessment (EIA) where it used the results from the Greenpeace and PSA mapping of the area to argue in favor of the soy’s cultures “minimal social negative impacts” (see page 20 of the EIA). Since 2006, Cargill, under its partnership with The Nature Conservancy (TNC), pledges for a so-called greener soybean production in the Amazon, under the Soy Moratorium agreement. Finally in August 2012, the SEMA grants the US company its operating permit. Today the exportation capacities of the port keeps growing exponentially as the possibility for six new port’s terminals was considered in 2015. This situation is an important concern for the local inhabitants and local associations. As for instance, the new project for the construction of a port on the Maica Lake highly endangers the fishermen livelihood. No matter how genuine are Cargill Soy Moratorium's intentions, the intensification of the port's activities contributes to the opening of the rainforest's fragile frontiers to greedy settlers. Project Details In November 2003, Cargill built a container terminal for the access of large cargo ships loading and transporting the soybeans harvested each year. Terminal’s storage capacity were expanded from 60,000 metric tons to 90,000 thousand metric tons after its reopening. As a result of these protests, environmentalists and social movements obtained a two-year moratorium on the deforestation planned to ensure the cultivation of soybeans. Development of Alternatives Demand the permanent closure of the port. Why? Explain briefly. The IBAMA closed Cargill's port in 2007. But it reopened in 2012. Other Comments In 2010, Era Maggi Scheffer from Mato Grosso has plans to invest R$ 50 million ($25 million) to build a grain terminal in the port of Santarm.